Lafcadio Hearn, known to many as Koizumi Yakumo, was a prolific writer, reporter, scholar, teacher, translator, and by all accounts a true world citizen. The Lafcadio Hearn Collection was donated to The University of Alabama's University Libraries by alumnus Dr. Wallace Bruce Smith, a 1903 graduate of the University of Alabama Medical School. Dr. Smith chose to donate the Hearn Collection to Special Collections largely due to the Libraries' already strong collection of New Orleans and Louisiana materials from the T.P. Thompson Collection, which serves as the core of the W.S. Hoole Library Rare Books Collection. 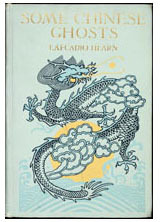 Lafcadio Hearn spent a decade in New Orleans prior to making Japan his permanent home in 1890. 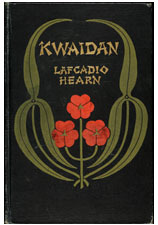 The Lafcadio Hearn Collection at the Hoole Library is one of the most complete collections of rare Hearn materials in the world. To learn more about Lafcadio Hearn, please see the Lafcadio Hearn biographical essay provided here. You can also view a gallery of Hearn titles in the PBO database here . "Just as Hearn meticulously cataloged and indexed his notebooks, his lifelong concern in his writing was less to create works of art than to capture and preserve what was in danger of passing away, whether in Japanese folktales and the ancestor worship of the traditional Shinto religion, or in Creole folkways and the ghosts of old New Orleans."